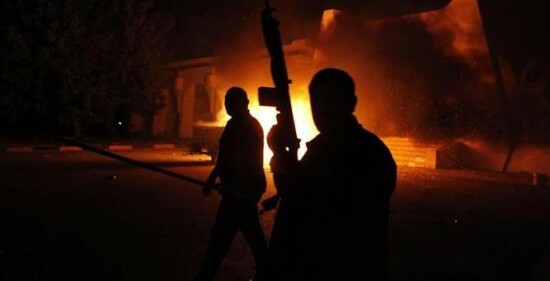 (Reuters) – Officials at the White House and State Department were advised two hours after attackers assaulted the U.S. diplomatic mission in Benghazi, Libya, on September 11 that an Islamic militant group had claimed credit for the attack, official emails show. U.S. Ambassador Christopher Stevens and three other Americans were killed in the Benghazi assault, which President Barack Obama and other U.S. officials ultimately acknowledged was a “terrorist” attack carried out by militants with suspected links to al Qaeda affiliates or sympathizers. While officials did mention the possible involvement of “extremists,” they did not lay blame on any specific militant groups or possible links to al Qaeda or its affiliates until intelligence officials publicly alleged that on September 28. Update: Now watch this video from the second debate.